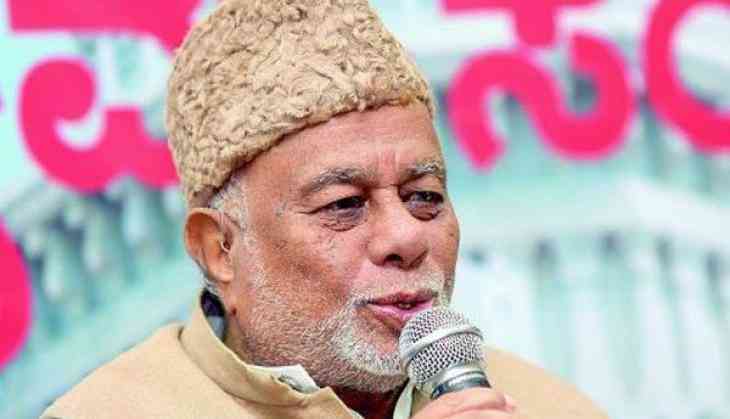 Karnataka Congress leader Jaffer Sharief on 1 April backed Rashtriya Swayamsevak Sangh (RSS) leader Mohan Bhagwat for the position of the President and wrote a letter to Prime Minister Narendra Modi saying there should not be any doubt about his patriotism. "I personally feel that nobody should find fault with Shri Mohan Bhagawat's name being considered as a choice for the Presidentship of our country. There are different schools of thought in India and it is but nature for such a vast secular country. Shri Mohan Bhagwat may belong to one school of thought, but there should not be any doubt about his patriotism, love for the people of India, loyalty to the nation and commitment to the constitution of India and to the democracy," Sharief wrote in the letter. "I, therefore, strongly feel that no one should make an issue unnecessarily by opposing the very consideration of Shri Bhagwat's name itself," he added. He further asserted that people belonging to other shades of opinion too should show large heart, faith and confidence in every upright patriotic India and should not doubt as long as one works under he constitution of India. "As a Muslim person belonging to minority community of India, I feel that the minorities should not have any fear or crisis of confidence in Shri Mohan Bhagwat's name being considered. I am sure that right thinking people of India would appreciate and accept my view and hope our political parties will also be broad minded and large hearted and do their best in living upto the expectation of the secular people of our country," he added. Despite the speculations, Bhagwat himself has made it clear that he was not interested in the post. "We close all doors on politics before coming here. When we work in the Sangh, we don't go there (to such high posts). There are many Swayamsevaks up there and they know it well," the RSS chief said adding that even if his name was nominated, he would not accept it.